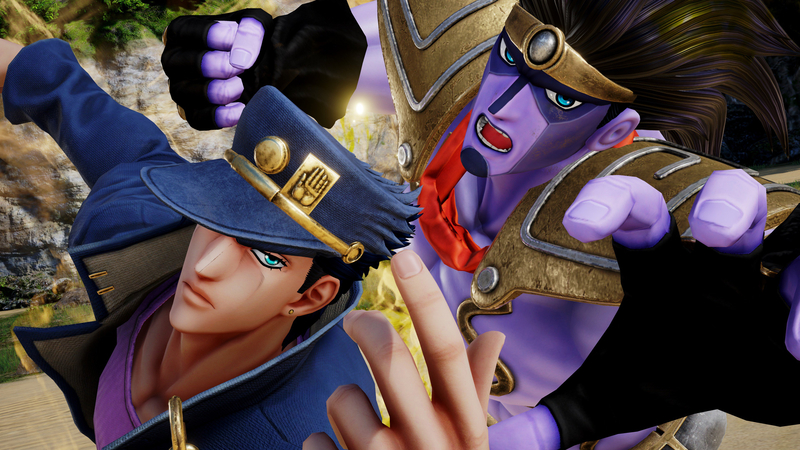 Jump Force is only weeks away and it looks like Bandai Namco still has a lot more of the roster to reveal, with JoJo’s Bizarre Adventure’s Dio and Jotaro Kujo confirmed. JoJo’s Bizarre Adventure is a Japanese manga series written from 1987 till 2004 and stars Jotaro Kujo, a delinquent who possess a powerful entity called a Stance. These powerful creatures are capable of incredible feats of strength with Jojo's being a forceful stance called Star Platinum. Jump Force launches this February 15th for PC, Xbox One, and PlayStation 4.